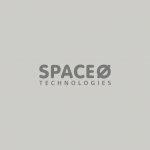 This blog embraces information for startups and entrepreneurs. 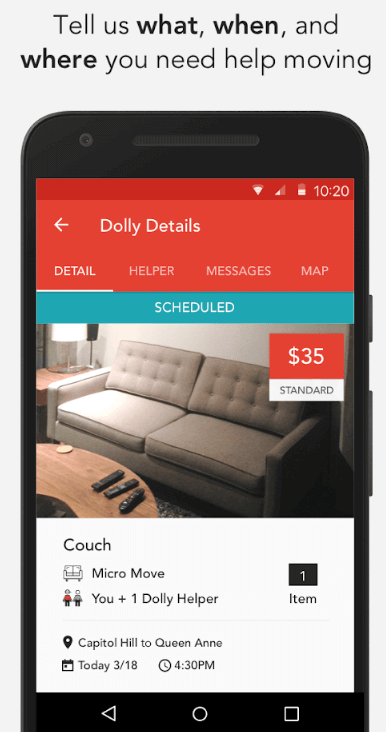 Herein we’ve curated four salient features by Dolly (on-demand delivery & moving app), which hits $1M in revenue. Let’s check out what are these? Whenever it is about “moving”, then nothing strike in our minds, but a big hassle. However, as you may know, that there is an app for that. 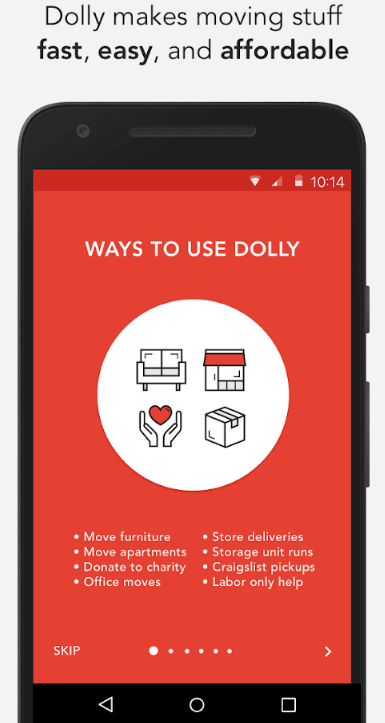 So, there is an app like Uber for moving things, which is named as Dolly. And, you might be thinking that why is Dolly called the “Uber of moving”? This is because that Dolly shares Uber-like business model and provide services on-demand. 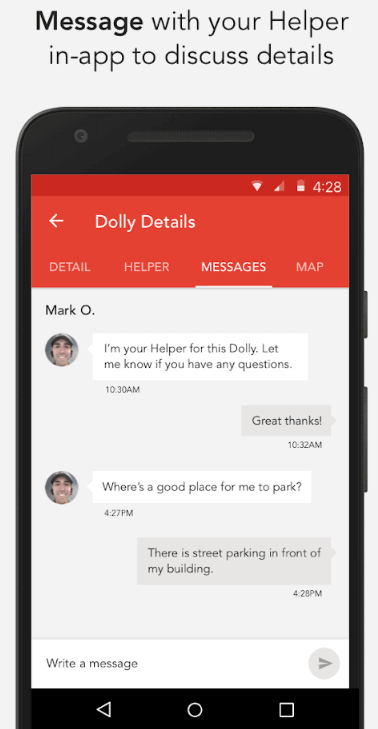 Let’s know more about “the Uber” for moving app, Dolly. 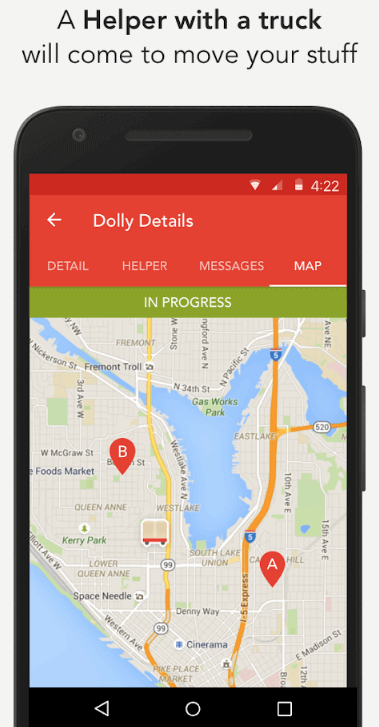 The Seattle-based on-demand delivery and moving company, Dolly, is launched back in late 2013. With a total funding amount of $9.7 million, the on-demand delivery and moving startup, Dolly, raised $8 million in 2015 in Series A round of funding. 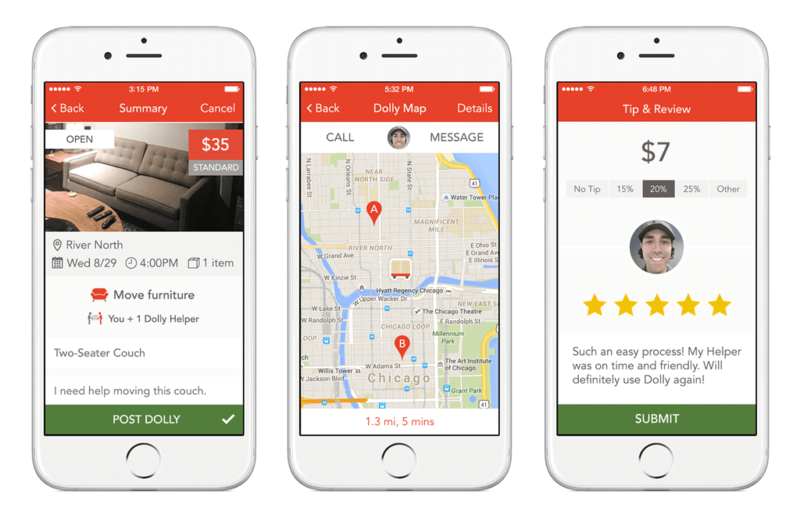 After hitting a milestone, Dolly, picky and delivery app, has expanded its services in San Francisco and Washington D.C. Currently, Dolly operates out of Seattle, Portland, San Diego, Denver, Chicago, Boston, and Philadelphia. According to SimilarWeb, the Google Play rank of Dolly app is #526. This is what you can see in the image. What Makes Dolly Different from Other Moving Services like Lugg & Moved? Dolly shares Uber-like business model and focuses on single pieces of furniture and small items, which can fit in the back of a pickup truck. 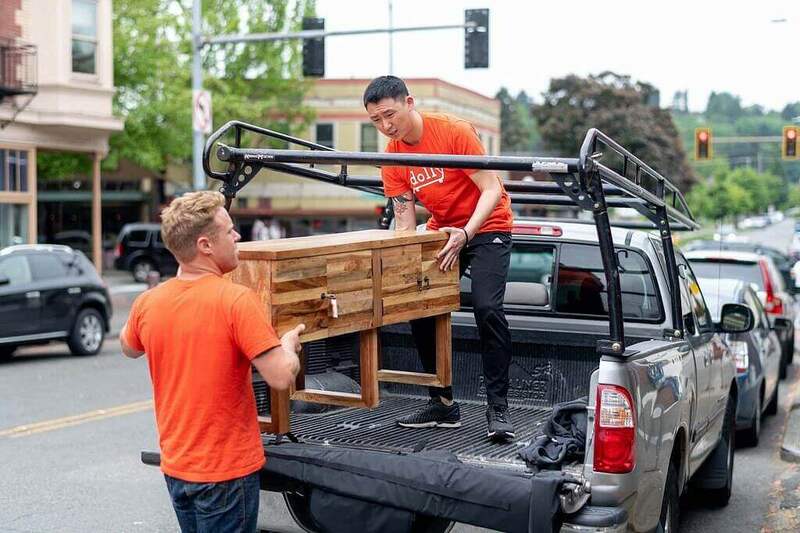 The app like Uber for moving, Dolly, is for moving couch, cabinet or dresser from the furniture or the flea markets like IKEA, Barrel, Lowe’s & Carate to app users’ houses or apartments. In short, Dolly provides the on-demand delivery and moving services for furniture and other small items. It also allows users to book moving and delivery services within the app. One of the salient features is to allow your app users to book a wide range of moving and delivery services via an app like Uber for moving. It is important to give your customers choices as we live in the world where all have the abundance of choices. There are various companies, which provide their customers a number of options and services to attract them and stay longer with them. In short, by doing so, you can grow your business. So, being a startup, you need to be very clear about giving choices to your customers. As long as moving and delivery services are concerned, then you need to consider this feature to provide convenience to your customers. Whether it comes to moving furniture to the user’s house, apartment, or office and it could pick up from furniture stores. So, you can include such options for users while developing an app like Uber for moving. Being a startup, all you need to consider such feature while developing an app like Uber for moving. The next core feature is to allow app users to schedule the booking in advance and let them book the moving and delivery services along with complete details and without hassles. This type of core feature is to allow your app users to book moving and delivery services now and in advance. To schedule, the services provide users convenience. It is important to include such features, which provide convenience to them. You need to include such feature, which lets your users book services in the easiest and convenient way. Being a startup or entrepreneur, if you have ever thought of creating an app like Uber for moving, then such feature is worth including during on-demand delivery and moving app development. Such feature is highly recommended while developing an app like Uber for moving. To provide convenient services to your users, in-app chat feature is an important feature, which you need to integrate while creating an app like Uber for moving app. This kind of feature gets your app users back to the app. In addition, in-app chat feature also let your app users retain longer with the mobile app. Furthermore, if your users need any help or have questions regarding services, then they can ask for help and talk to the customer support. By providing such features, you make easier for them for asking help if they would have any query. Thus, being a startup, you can give a thought on including this feature while creating an app like Uber for moving. Real-time tracking plays an important role during an on-demand moving app development. It is important to allow your users to check the live location of the concerned person and track real-time location. When it comes to real-time tracking, then it is important to the user’s device geographic region in real time. Again, such feature also allows your app users to track their delivered stuff, furniture or other products live. 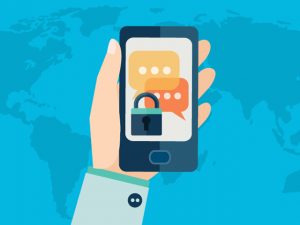 Also, you can provide a platform for calling and text messaging, where they can communicate with the concerned persons in case of any query. To provide users with a lot of features, there is ultimately one goal is to providing convenience to them. There are other important features that can be included when developing an app like Uber of moving. Are You Ready With Your New “Uber for Moving” App Idea to Helping People to Move With an Ease? The concept, which is based on the Uber-like business model does not seem to fade away from the market. 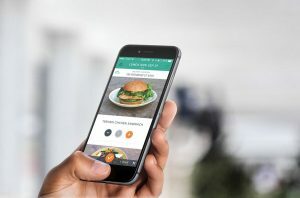 Being a startup, if you are planning to dive into an on-demand delivery and moving services and create an app like Dolly, then it is a high time to develop in this particular niche. However, if you are already in this business and do not have on-demand moving app, then this is something, which you need to start thinking and consult a professional full stack developer to discuss your requirements. This is due to the fact that as per the latest report from Google Trends, you can see the interest over time of the searched keyword “Uber for moving”, which has been rising since 2004. This is what you can see in the graph image. So, if you are having an app idea on Uber for moving or on-demand moving and delivery services, then you can cross-verify it with us as we are a leading mobile apps development company. And, we have already developed over 60 apps on the on-demand solutions along with unique features and functionalities like GPS real-time tracking, multi-lingual support, cross-platform ability, payment gateway integration, online support, image gallery, and visual calendar. In case, if you still have any query or confusion regarding the app development cost like Uber for moving, how long does it take to create an app like Uber for moving or on-demand delivery and moving service app, then you can get in touch with us through our contact us form. One of our sales representatives will revert to you as soon as possible. The consultation is absolutely free of cost. How Converting Excel Credit Card PayOff Calculator to Mobile App Can Help Banks as well as Borrowers?